No one likes waiting around for products to be delivered. That’s why MAAX Bath worked with MagicLamp to transform order capture and management using IBM Enterprise Content Management solutions. With 54 percent of non-EDI orders now processed automatically, MAAX can get its bathroom products out the door faster than ever—keeping customers happy. To win repeat business, bathroom products manufacturer MAAX must process and fill orders fast and accurately—but reliance on time-consuming, error-prone manual processes threatened to thwart this aim. MAAX used IBM® Enterprise Content Management solutions to streamline capture and processing of orders received by fax and email. Today, MAAX processes 54 percent of non-EDI orders automatically. MAAX sells its products through an intermediary network of dealers, from small independent stores to large wholesalers and retailers. These sellers and their customers have extremely high expectations when it comes to order fulfillment. Any delays around order processing and delivery could lead to dissatisfaction and reputational damage, putting MAAX at risk of losing hard-won market share. This makes it vital for the company to provide a seamless experience from the moment it receives an order to delivery of the finished product. However, MAAX found that reliance on manual methods was slowing order turnaround times. Since the details of any orders received by email or fax had to be manually entered into the company’s central SAP ERP system for processing, errors inevitably crept into the process. In addition to causing customer frustration, these errors could be costly for the company, potentially requiring it to reprocess entire orders from scratch. Working with IBM Business Partner MagicLamp, MAAX designed and deployed a streamlined document capture and processing solution, built on IBM Enterprise Content Management solutions. Today, MAAX has established a dedicated email inbox and fax server for sales orders. When a new order arrives via one of these channels, IBM Datacap software automatically identifies and classifies the document; for instance, noting the submitting retailer and geography. Next, the solution extracts key content, including the line item details, as an electronic image. Once captured and classified, the document images are stored in a central IBM FileNet® Content Manager repository. To speed up document capture, MAAX has added some unique features to its Datacap solution. One of these is an “ignore zone”, which allows users to exclude certain areas of a document—such as a logo or hand-written date, which would normally be flagged by the system for manual review—from the capture process. This allows more documents to be processed without any manual intervention. MAAX Bath takes advantage of ERP Data Gateway from MagicLamp to provide seamless integration between its Datacap and SAP systems. The solution automatically takes order data captured by Datacap and links it to the company’s SAP ERP system, where it is used to generate a new sales order, ready for processing. In addition, MAAX has worked with MagicLamp to introduce an address parsing feature, which separates freeform address data into individual component parts, such as house number, street name, and postal and zip codes. “We use postal codes to link orders to customer records in our SAP system—when we input a postal code into the system, it will return the unique customer number linked to that address, so we can be sure that orders are matched to the correct customer,” explains Suzie Métivier. With IBM Enterprise Content Management solutions, MAAX has transformed order processing into an efficient, accurate activity. Today, the company processes 54 percent of non-EDI orders with zero manual intervention. The newfound process efficiencies have had a major impact on the way that teams work. MAAX has been able to move staff away from manual data entry and into client service roles. Harnessing automation reduces the manual work involved across the end-to-end order-to-cash process, which has enabled MAAX to accelerate order turnaround times. Today, the company can ship orders faster than before, delighting customers and giving MAAX a valuable edge on its competitors. What’s more, the improved accuracy and control delivered by automation has reduced error rates. As a result, MAAX can ensure that it gets customer orders right the first time, minimizing the risk of costly order re-work and re-delivery, and boosting customer satisfaction. MAAX Bath is a leading manufacturer of bathroom products for the residential housing market in Canada and the United States. 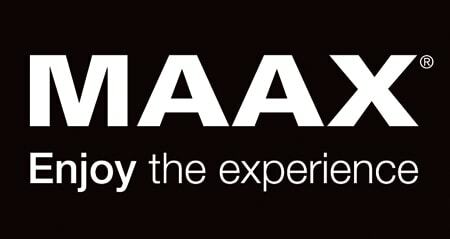 With its home office based in Montreal, Canada, MAAX operates eight manufacturing plants, three research and development centers and more than 5,000 points of sale across North America. © Copyright IBM Corporation 2016. IBM Systems, Route 100, Somers, NY 10589. Produced in the United States of America, November 2016. IBM, the IBM logo, ibm.com, Daeja, and FileNet are trademarks of International Business Machines Corp., registered in many jurisdictions worldwide. Other product and service names might be trademarks of IBM or other companies. A current list of IBM trademarks is available on the web at “Copyright and trademark information” at ibm.com/legal/copytrade.shtml. This document is current as of the initial date of publication and may be changed by IBM at any time. Not all offerings are available in every country in which IBM operates. THE INFORMATION IN THIS DOCUMENT IS PROVIDED “AS IS” WITHOUT ANY WARRANTY, EXPRESS OR IMPLIED, INCLUDING WITHOUT ANY WARRANTIES OF MERCHANTABILITY, FITNESS FOR A PARTICULAR PURPOSE AND ANY WARRANTY OR CONDITION OF NON-INFRINGEMENT. IBM products are warranted according to the terms and conditions of the agreements under which they are provided.